How did you break into product? Do you think that the Product Management space is getting more competitive? Is experience in product enough? Are you instructing the concepts of agile such as Scrum processes? How do you validate all these skills in a candidate after a 1-hr interview? What do you look for when hiring an agile Product Manager? What is the difference between lean and agile? Which one do you prefer and why? What kind of certification, workshops or training are most important? What is your pain point as a jr. product manager when coming from an engineering field? Do you have any tips and tricks for becoming an associate product manager? What kind of certification is a must to become a product manager? What kind of a mindset changes you from being an engineer to a product owner or APM? What are your favorite forms of "value" that you use to prioritize a backlog? How can one combine the product owner and product manager roles in small organizations? I am a non-tech product manager with sales and marketing background struggling to make it to product, what should I do? What was your most valuable asset exploring the APM position? Is there a significant divide between Technical and Non-Technical Product Managers? Can you throw some light on Product Manager’s role in go-to market? Is it difficult to continuously improve in keeping leadership happy? With business and Software Engineer background what skills should I focus on while building a profile for Tech APM roles? How often do you get out of the office and talk with Users? There are too many certifications out there. How do you pick one? 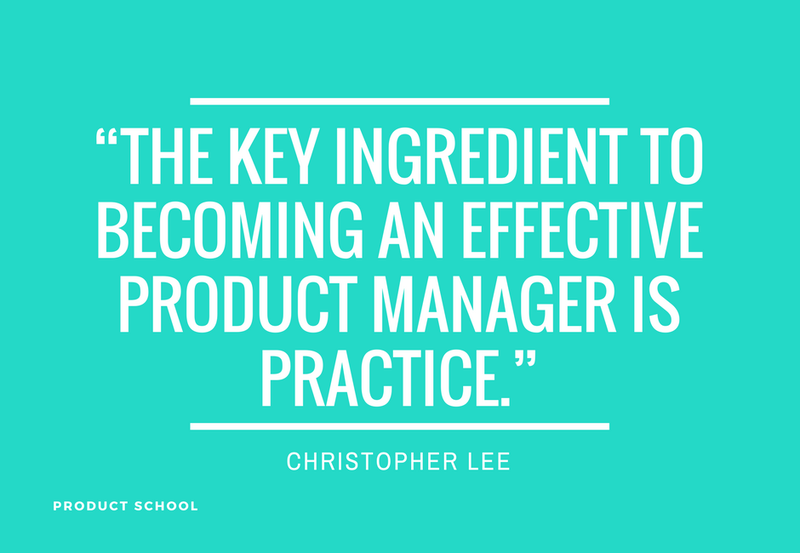 What are the key ingredients to becoming an effective Product Manager? Is it difficult to transition from Project to Product? At the beginning of the conceptual stage how does each product team decide which form of Agile is used? What are your favorite forms of “value” that you use to prioritize a backlog? What are the secrets to becoming an effective product manager? 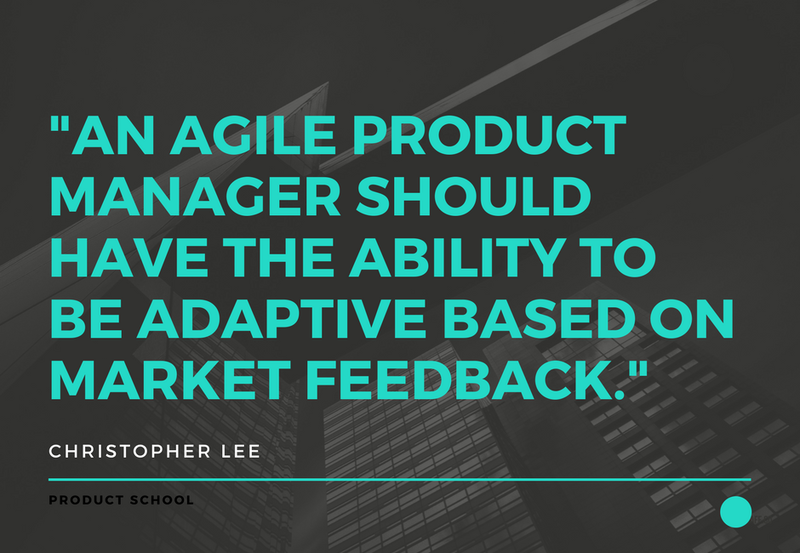 Agile product management coach, Christopher Lee, argued in a recent Slack live chat that the key is practice. Gathering basic experience in product management is the most important thing. Once that has been learned well it can be applied with experience. Here is the whole chat between Christopher and our Slack Community. 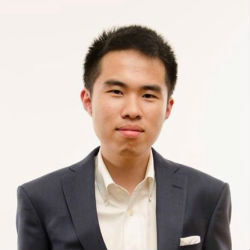 Christopher currently works as an agile product management coach. He cares deeply about user experience and interface aesthetics, and loves building great products that provide exceptional experience and value to their users. Christopher combines qualitative insight, data informed analysis, and creativity with hands on execution to deliver innovative products in collaboration with great teams and partners. Chris holds a Bachelor’s Degree in Media Studies. How I broke into product was an accidental journey. 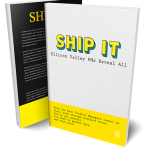 I was working as a Junior Systems Engineer after college at a consumer group video chat company, Paltalk (that’s now merged with SNAP Interactive). There was Associate Product Manager opportunity that emerged, and I discovered I had a strong passion for working on problems related to the user, technology, and business. Product was a good place for ‘misfits’ in the organization. Yes, it’s getting more competitive because more people are looking to become Product Managers and as a result, companies have more demanding requirements. Certifications can help you get past HR, but experience matters most to the hiring manager. It depends on whether you are applying for a junior, mid-level or Senior Product Manager role. We are agnostic on which Agile framework to use. We are using Large-Scale Scrum, but clients have been trained in Scrum and LeSS already. There’s more of a focus on Product Owner and Product Manager coaching. It would be difficult to validate all these skills in a candidate after a 1-hour interview. 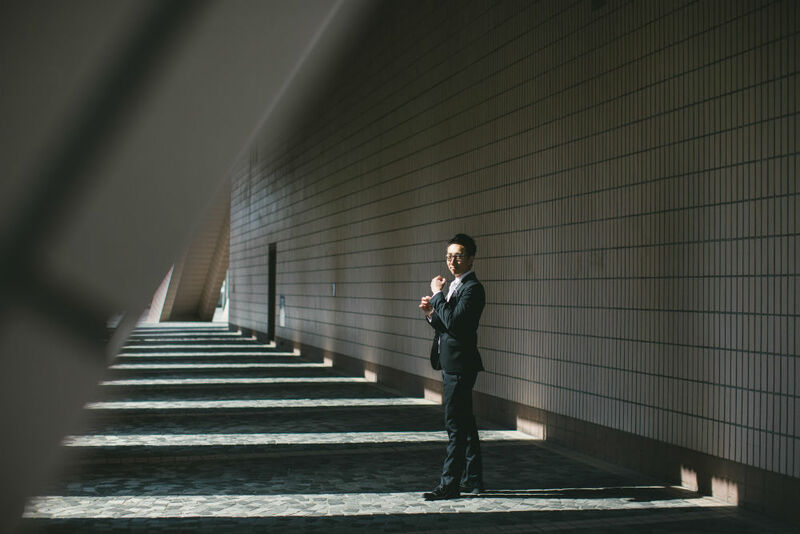 It might be best to provide a real case interview question to see how the candidate thinks and works on design and technical problems related to product with different stakeholders. You can only validate the skills if you work with them. An agile Product Manager should have the ability to be adaptive based on market feedback, can prioritize a backlog based on value, work as both a diplomat and a politician (navigate organizational politics). Lastly, a learner’s mindset to be able to work on both organizational, product and technical challenges. My friend Jonathan Hansen would define Lean as “Lean is an operations strategy to achieve your business strategy by focusing on flow efficiency first.” Agile comprises of values and principles found in the Manifesto and focuses on iterative software development, but also how teams work and are highly collaborative. I prefer to use both in my work. Certified Scrum Product Owner. And the Product School of course. Learning how to explore the problem definition space and understand customer needs. Try to become an APM in your current company. You need to have a mindset to focus on the user and customer as well and the business. Take a look at weighted shortest job first from Don Reinerstein’s Lean Product Development Flow. You can look at a combination of customer value and business value while looking at technical feasibility, risks, opportunity enablement. It depends on what your OKR’s are. Yes, I would explore what the roles and responsibilities of a Product Owner and Product Manager are first. Even in large enterprises, you may find that this is a combined role. The combined Product Owner and Product Manager role are working on both the market and commercial work as well as the technical work by collaborating with engineering. You would probably need to find a generalist that has had experience working in startups before. Your unique selling proposition could be a company that is focused more on the marketing side for Product Manager roles. These could be adtech companies or the past industries that you’ve worked in. Have you tried quantifying each achievement that you’ve put on the resume? Think about what value you can deliver to those product organizations. Or practice on product organizations that are a tier below good product organizations first and see what feedback you get. StrengthsFinder said that one of my strengths was ideation. There is a divide between the two roles, but I have had friends that were non-technical that were able to learn to code or how to communicate with engineers and became TPM’s. So learning and experience are not insurmountable. When you say go to market, I think about the Product Marketing Manager role. They are focused more on product launch, communications, etc. Leadership has a specific set of OKRs that they would like to reach, usually related to growing revenues. I would say it’s difficult. You have to sell your ideas and your roadmap to leadership. I would focus on learning more about the user experience and how design thinking affects the product. As well as interpersonal skills and EQ, which is important in a Product Manager role. Getting out of the building and talking to users on a weekly basis is ideal. It depends on your shipping cadence. I don’t know that we can really pick one. We have to pick the ones that the recruiters ask the most for which in my experience is the CSPO. The key ingredient to becoming an effective Product Manager is practice. Gaining experience talking with a wide range of different stakeholders and thinking through the problem space of how to iterate a product based on customer feedback. After you’ve learned product management well, then applying it with experience. Someone with project management experience has to think about how they move from end to end delivery of continuous flow. Moving from thinking about efficiencies to effectiveness. This starts with thinking about customer value and business value and not velocity (which is a measure that can be gamed). From my experience, it’s based on the team’s knowledge, experience, and comfort with the framework. Here’s a diagram from an abstract perspective. Yes, if you really want to become a Product Manager, the best way to become an APM is to work within your subject matter expertise or industry, so try to become an APM within your company or act as a Product Manager within your current role without asking for permission.